Have you ever felt the urge to create an environment where you can concentrate on learning, or build your own network of like-minded business people to maximize your career potential? Maybe you've never had the chance to act on that urge. Or maybe you made start, but couldn't keep things going. We know plenty of people who feel the same way. 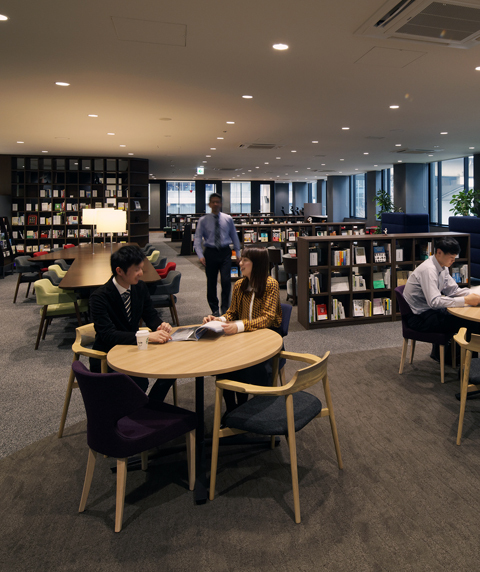 Here at Kansai University, we've created a space in Umeda, Osaka, for people like you. Here you can have some space to yourself for working quietly. You can also use communal spaces to interact with like-minded people on an ongoing basis, building and expanding your own brand-new human network. 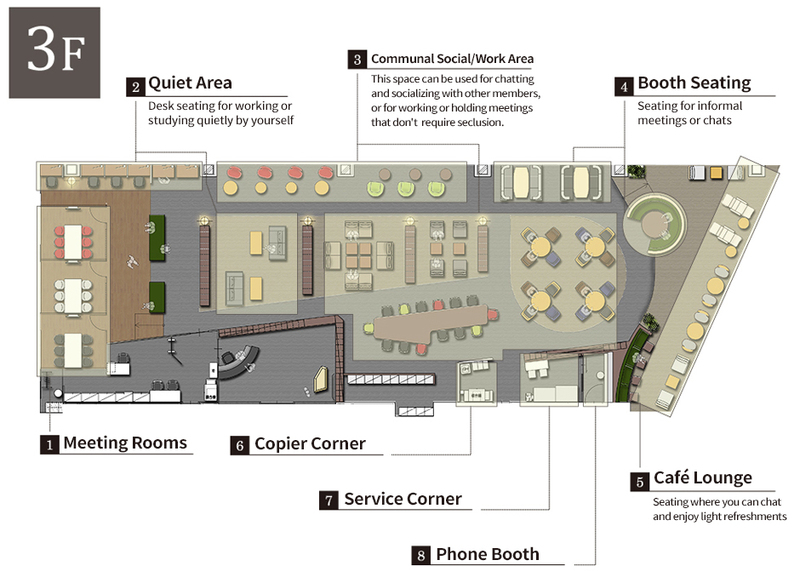 Our space gives you a third base of operations, that is neither your workplace nor your home. Here you can keep yourself updated through encounters with new information and new people. Imagine Osaka as a venue where everyone has the chance to meet new people and acquire new knowledge and enjoy learning from each other. This is the vision that we, at Kansai University, have for the future. This salon offers a full range of handy facilities for career-boosting study and entrepreneurship, including meeting rooms, private study desks, copiers and more. A library of business, training and other publications selected for salon members is available to be used whenever you like. Members-only seminars and networking sessions are held regularly so that you can interact with other members. Located just five minutes' walk away from Hankyu Umeda Station and eight minutes' walk away from JR Osaka Station, the salon is very convenient for public transport. Multifunction printer/copiers:　Copying and printing is charged per page. The shredders may be used free of charge. Lockers:　A total of 44 lockers are available. 14 are coin-operated (¥100 per day). Monthly rental lockers are available for \3, 000 per month (option). Drinks:　The salon is fully equipped with water servers. Full Members are entitled to use all the salon's facilities. Weekend Members are entitled to use all the salon's facilities on weekends and public holidays only. Day-Pass Members are entitled to use some of the salon's facilities. *A Day Pass entitles the user to use the facilities for one day. *Additionally, if the salon is holding a limited-term offer to attract new members in specific categories, this will be advised using a separate flier or other means. However, if you require a group tour (for a party of five or more persons), or if you would like to be shown around the whole of Kansai University Umeda Campus, please make arrangements in advance by contacting Kansai University Umeda Campus Office (tel: +81-6-4256-6410; lines are open from 10:00 to 18:00 on weekdays; email: umedaku＠ml.kandai.jp). For anyone who would like to use the salon on a trial basis before officially signing up for membership, a Visitor’s Pass (entitling the holder to use certain salon facilities for one day) is available for purchase. Visitor’s Pass overview:　A Visitor’s Pass enables a prospective member of the KANDAI Me RISE Club to use the salon for a fee on a trial basis for one time only. Days when the Pass can be used:　The Visitor’s Pass can be used during opening hours (10:00 to 22:00 on weekdays, and 10:00 to 18:00 on weekends and public holidays). 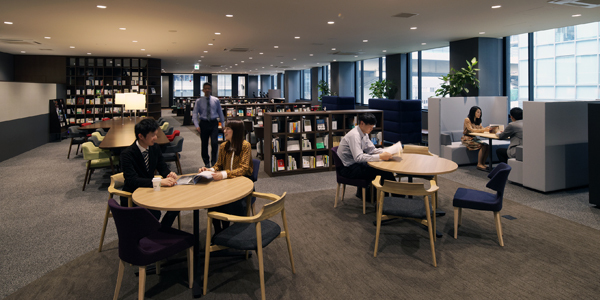 Obtaining a Visitor’s Pass:　On the day when you would like to try out the salon facilities, go to salon reception on Floor 3 of the Umeda Campus Building and request a Visitor’s Pass. Procedure:　Fill out a Visitor’s Pass Application Form. The receptionist will explain which facilities you are entitled to use. You may then use the facilities in question until the end of opening hours. ･･･ Usage fees are included in salon membership fees, Day Pass fees and Visitor’s Pass fees. *1 All fees are exclusive of tax. *2 Limits are placed on the maximum number of hours of use. The salon's Membership Agreement period is reckoned in fiscal-years units (a fiscal year being a 12-month period running from April to March of the subsequent year). The amounts displayed for the membership fee under "Single annual payment" in the table above represent the membership fee amount for one fiscal year, assuming that the member joins the salon in April. For members enrolling partway through the fiscal year, the membership fee amount will be reduced according to the remaining months of continuous membership after enrollment. The amounts displayed under "Monthly payment" apply when the annual membership fee is divided up into monthly installments and paid over the fiscal period stated in the Membership Agreement. The monthly membership fee installments will be billed to the credit card used at enrollment. The validity period of the Day Pass is one year, starting from the day of purchase. * The enrollment fee, membership fees and other fees are all exclusive of tax. * Membership applications must be submitted by the 5th of the month before the desired month of enrollment. * Fees are all exclusive of tax. * The Membership Agreement period is reckoned in fiscal-year units (a fiscal year being a 12-month period running from April to March of the subsequent year). 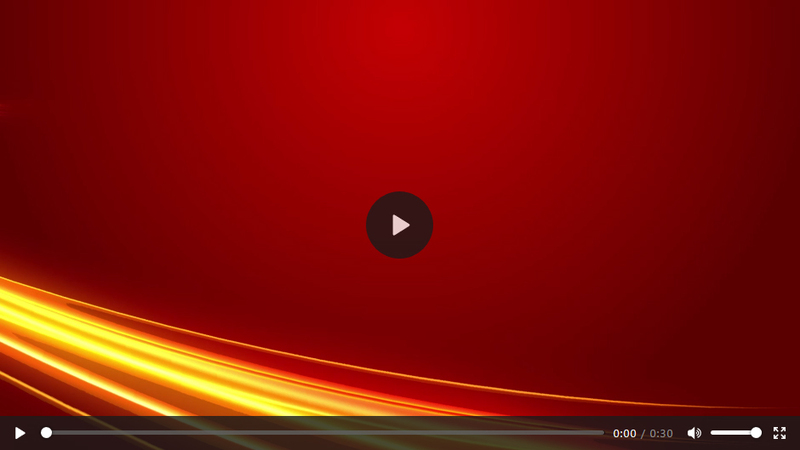 Enrollment application No later than the 5th of the month before the month in which you wish to enroll, complete your enrollment application by entering the required information in the Enrollment Application Form on this website. However, if your membership application has been declined as a result of the pre-enrollment checking, you will be informed at this point. Interview notification and interviewing If you have received notification that you will be interviewed, the interview will take place at the time and place agreed in advance with the salon. You will be informed of when you will be notified of the result of the interview, namely, whether your enrollment has been approved or not, after the interview. Enrollment procedure and payment of membership fee, etc. If you have received notification that your enrollment has been approved, you can then complete the enrollment procedure by presenting the following documents at the salon, signing the Membership Agreement, and paying the membership fee, etc. Applicant interview, briefing on salon services, etc. Access to salon facilities as a member: This starts on the first of the desired month of enrollment. * Please apply for membership using the application form on this website. Members must be able to use a credit card to pay for membership fees or Day Pass fees and enrollment fees. However, exceptions may be made in cases where Kansai University approves payment by a different method. Example: Exceptions may be made for persons who wish to pay by invoice, so that they can pay the membership fee, etc., via their own company. Members must be aged 20 or over. Persons belonging to an organized crime group as defined by Article 2, item 2 of the Act on Prevention of Unjust Acts by Organized Crime Group Members (Act No. 77 of 1991) are not eligible to apply for membership, retain membership, or act as an intermediary between the salon and any applicant or member. The above exclusions also apply to persons who have in the past been involved with an organized crime group. Please have a credit card (debit cards are not acceptable) issued in your own name at hand, to be used when paying the membership fee. *Furthermore, please note that the personal information you provide at the time of enrollment will be protected by encryption before transmission. Please note also that your enrollment fee, etc. will not be charged to your card immediately after you have submitted the form. Please note that you will be notified that your card will be charged after you have attended your interview, your membership fee, etc. have been confirmed, and officially signed the Membership Agreement. The latest information is now available on the KANDAI Me RISE Club official Facebook page.